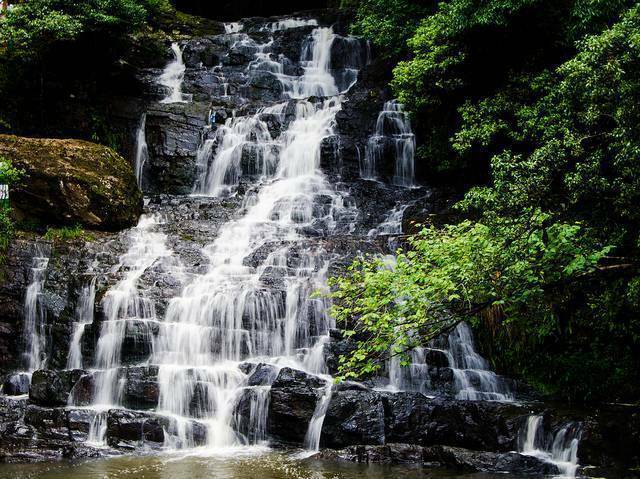 Elephant falls are located about 12 kms away from Shillong, the capital of Meghalaya. Renamed by the British because a rock near the falls resembled an elephant, these falls were named Ka Kshaid Lai Pateng Khohsiew by the Khasis. During rainy season, the falls can be enjoyed in all their glory as the water gushes through the falls with a renewed vigor. Visitors can get really close to the waterfalls and enjoy the mist falling on their faces.